If you’ve ever wondered what it really takes to become a successful entrepreneur in the wellness industry, grab your headphones and start listening. 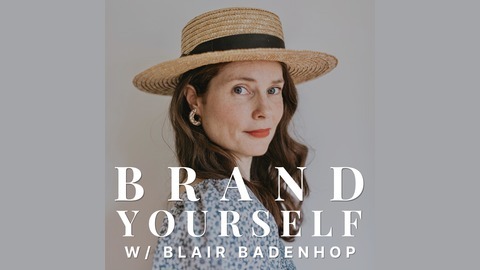 Brand Yourself is a show that gives you a behind the scenes look at what female business owners in the health, mindfulness, and personal growth space have done to build thriving businesses and stand out brands. 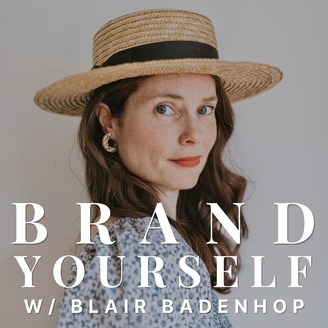 Hosted by brand strategist, Blair Badenhop, you’ll hear guests reveal the up and down journeys to finding success and how they leveraged who they really are to carve out their spot in the industry. Tune in to discover how “being yourself” is the secret to captivating your audience, effective marketing and branding, and more. As an entrepreneur, bestselling author, and mother, Kate Northrup supports ambitious, motivated, and successful women to light up the world without burning themselves out. In this episode, Kate shares how network marketing taught her to connect with people and build genuine relationships, the role this skill plays in her sales conversations and why that’s been a massive strength in her business, power of following up with your prospects, the importance of knowing your audience really well, and more! To learn more about Kate Northrup and the resources mentioned in this episode, visit the show notes.